At the beginning of the year, LEGO released the Asia exclusive Chinese New Year sets but there was also another set that we couldn’t publish due to it being watermarked. 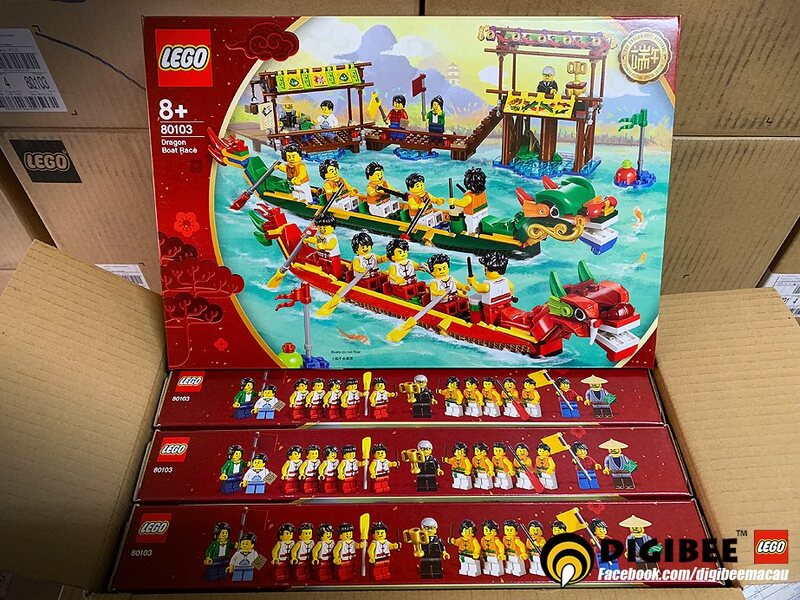 We can finally post about the last set which is called the Dragon Boat Race (80103) which comes from online retailer Digibee. 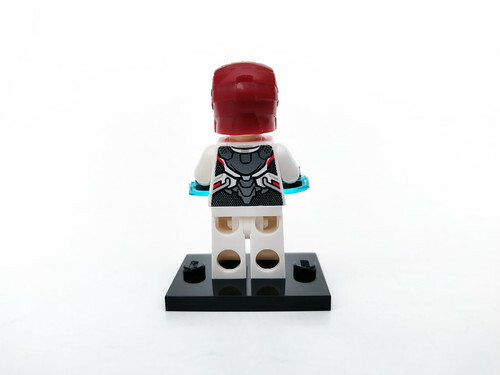 There’s no details regarding the set price or piece count but there are a whopping 15 minifigures that goes with it. As for the release date, it’ll probably be available around May or June for the Asia region countries since the Dragon Boat Festival will be held June 7-9. For us here in the US, we’ll have to get it off the secondary market or from a connection from someone who are able to get it from those countries. I assume this set will sell out fairly quickly just like the ones from earlier this year. The promotion for the LEGO Marvel Super Heroes Avengers Tower (40334) is now live on [email protected]. You can get it for free with purchases of $75 or more on LEGO Marvel Super Heroes sets until May 2, while supplies last. I’ve already done a review on the set if you want to check that out. 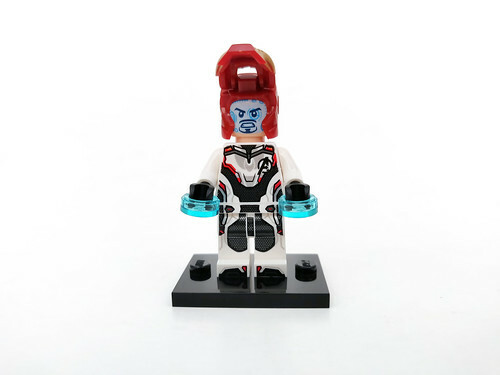 As a reminder, LEGO is running Double VIP Point on the Avengers Ultimate Quinjet (76126) and Avengers Compound Battle (76131) so you are able to double up on that. LEGO is also giving away a Captain Marvel art print (5005877) as well for VIPs with Marvel purchases of $35 or more. 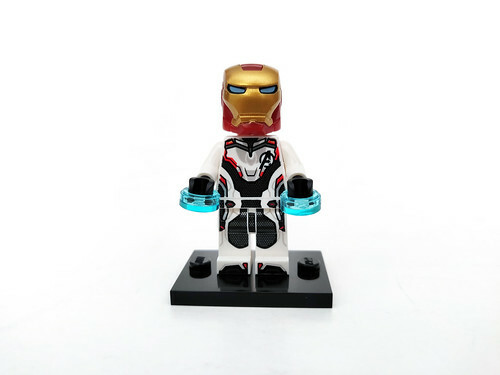 It shouldn’t be that difficult to reach $75 as there are a lot of sets to choose from such as the Avengers: Endgame, the latest wave of Spider-Man sets, as well as the older Infinity War sets. Lastly, the Spider-Man: Far From Home sets are slated to be available on April 22 but I’m not sure if there will be enough stock of the Avengers Tower to last that long. A few days ago, there was a huge fire at the Notre-Dame Cathedral which destroyed part of the monument. 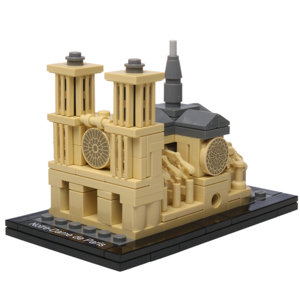 The folks at Build Better Bricks and The Brick Show Shop have teamed up to bring you a special limited edition LEGO custom miniature version of the cathedral. The set costs $30 and 100% of the profits will be donated to the Friends of Notre-Dame to aid in its restoration. There are only 100 of the sets being made so if you were already thinking of help out with the restoration costs, why not go this route and get a little something back. Update: It’s now sold out. Thanks to everyone who donated. Earlier today, the official images of the summer 2019 LEGO Ninjago sets were found on meinspielzeug.ch. There is a variety of sets in the wave ranging from vehicles to mechs and it looks like some of the environments are set in the snow and desert. I really do like the new nine-tailed fox, aka Kumiho, mold in the smallest set. Check them out below. Thanks to everyone who emailed in about it. We don’t get to see the promotions on the US LEGO Store Calendars but in other countries, they still show them and we now know what the May the 4th set will be. 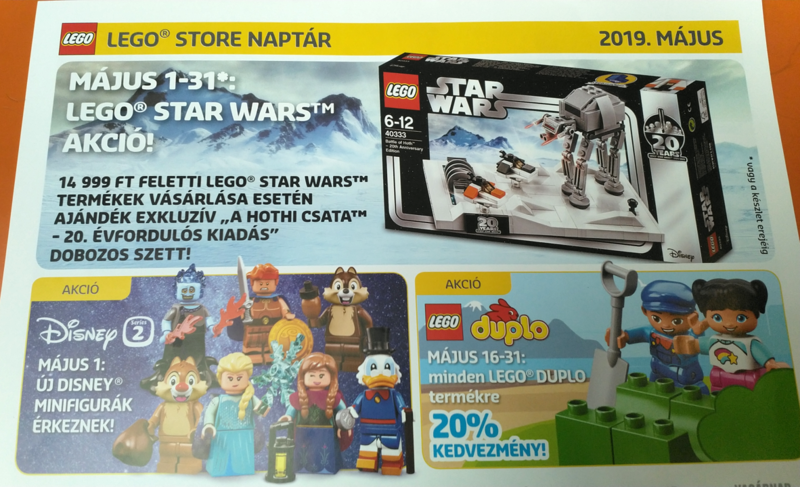 According to the Hungarian LEGO Store Calendar, the May the 4th promotional set will be the Battle of Hoth – 20th Anniversary Edition (40333). They can get it with purchases of HUF 14,999 but we don’t know how much it will be for here but I’ll let you know when those details are available. Update: I’ve been told that the set will be free with purchases of $75 or more. There will also be a poster with purchases of $35 or more. 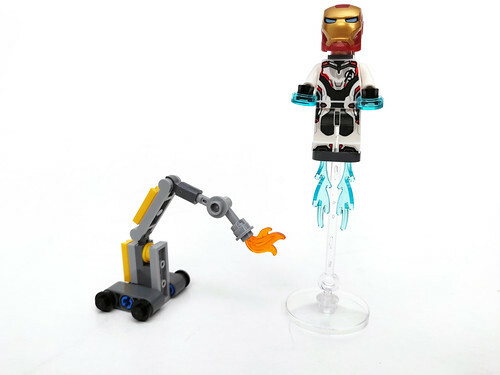 Avengers: Endgame comes out in a week and the LEGO Marvel Super Heroes sets are already available including a new polybag called Iron Man and Dum-E (30452). Although not exclusive to Walmart, the polybag can be found there for $3.99. You can use Brickseek to find stores near you that have it. 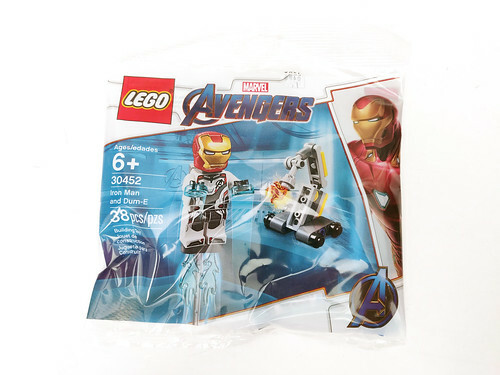 The polybag has 38 pieces and it features Iron Man and his robot assistant Dum-E (Dummy). 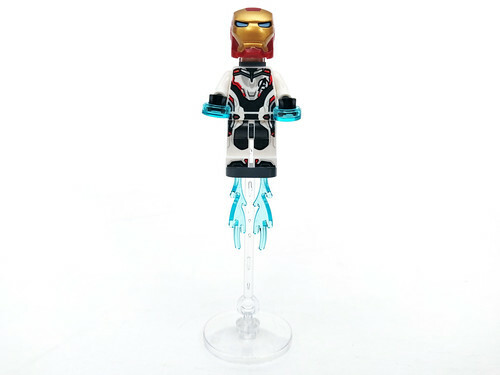 For the Iron Man minifigure, it shows him with the white Quantum Realm suit. 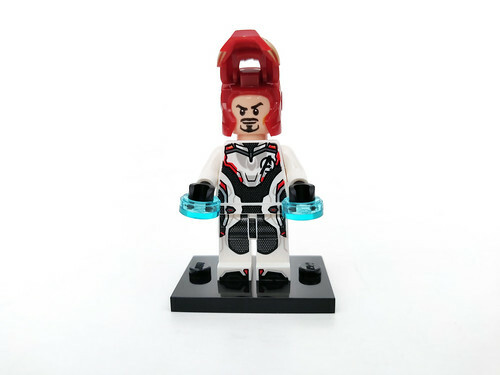 This version of Iron Man is currently exclusive to this polybag so if you want to complete all the Avengers with the suit, you’ll have to get this polybag. I do like the carbon fiber look on the front and back of the torso. His head shows him with a confident look on one side and the other shows him with the blue heads-up display. His helmet is the normal red and gold one that we’ve seen before. 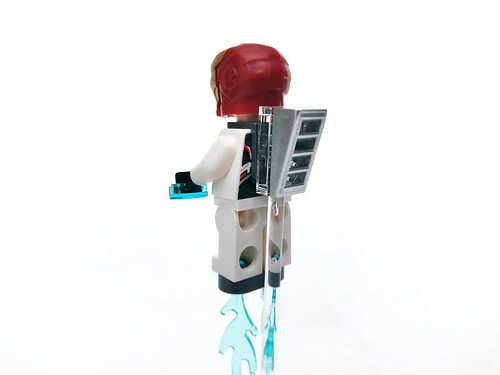 His accessories include some hand thrusters which are some 1×1 round trans-light blue tiles as well as some trans-light blue flames for the thrusters on the legs. He attaches to a trans-clear stand to make it seem like he’s flying. As for Dum-E, it’s a very simply build that uses some Technic beams for the rolling treads. The arm is basically a 1×2 plate with hinges that the clip holds on to. At the end of the arm, there a flame. 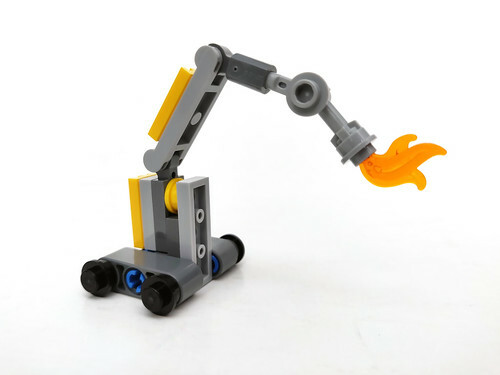 LEGO has revealed some new LEGO Education sets today for the 2019-2020 FIRST LEGO League Jr. (FFL Jr.) and FIRST LEGO League (FFL) seasons. These sets are exclusive architecture type sets and the First LEGO League Jr. will get the Boomtown Build (45810) while the First LEGO League will get the City Shaper Challenge Set. In addition, LEGO also announced that the new LEGO Education SPIKE Prime and the SPIKE Prime Competition Expansion Set can be used along with LEGO Mindstorms EV3 in the First LEGO League. Check out the press release and images below. Thank you to Stella for sending the info in. HOUSTON, TEXAS (April 17, 2019)– Today at the FIRST® Championship, LEGO® Education and FIRST unveiled two new, exclusive LEGO sets created specifically for the 2019-2020 FIRST LEGO League Jr. and FIRST LEGO League season. LEGO Education also announced today that its newly released LEGO Education SPIKE™ Prime with the new SPIKE™ Prime Competition Expansion Set can be used along with LEGO® MINDSTORMS® Education EV3 in FIRST LEGO League. LEGO Education SPIKE Prime and the SPIKE Prime Expansion Set can be pre-ordered today in the U.S. and will be available around the world in August 2019. The new sets for the 2019-2020 FIRST LEGO League season are based on the theme of architecture and are titled BOOMTOWN BUILD℠” and CITY SHAPER℠. The 2019-2020 FIRST LEGO League Jr. BOOMTOWN BUILD Inspire set will reach more than 130,000 children, ages 6 to 10* from 41 countries and the 2019-2020 FIRST LEGO League CITY SHAPER Challenge set, which includes a new competition mat, will reach more than 320,000 children, ages 9 to 16*, from nearly 90 countries. Students are tasked with completing a challenge designed in partnership with architects and engineers and use a variety of LEGO Education products, including LEGO Education WeDo 2.0, LEGO MINDSTORMS Education EV3 and the newly announced LEGO Education SPIKE Prime and SPIKE Prime Expansion set.